Nearly four months since her hospitalization, Demi Lovato may be back out and about, but her recovery is ongoing. The songstress was photographed in Los Angeles this weekend outside of Matsuhisa in Beverly Hills in a car with designer Henri Alexander Levy. The Saturday snaps come after a September sighting of the star near her rehab facility. On Sunday night, she was spotted again with Levy getting iced coffee at a Coffee Bean before heading to Cedars-Sinai Medical Center, a source told E! News. "Demi was all smiles and happy," the source described. Amid all of these fresh sightings of the 26-year-old Grammy nominee, her fans may be wondering what is next for the recovering star. As a source told E! News, she may be out of rehab, but her treatment is still in progress. "She got out of rehab last week, but her treatment is ongoing. She will be having therapy sessions and attend meetings," a source said. "It's going to be a lifelong commitment and her treatment will not end because she is out of rehab." Lovato, who has battled with substance abuse in the past, plans to "take it easy and not expose herself to risky situations," the insider added. "She really wants to relax and exercise and do everything she can to stay healthy. She wants to put what happened behind her and move forward committed to her health and making the right choices." The source noted, "She feels like this is a fresh start and she is very lucky to have that." To any concerned fans, rest assured: "She is feeling really great." 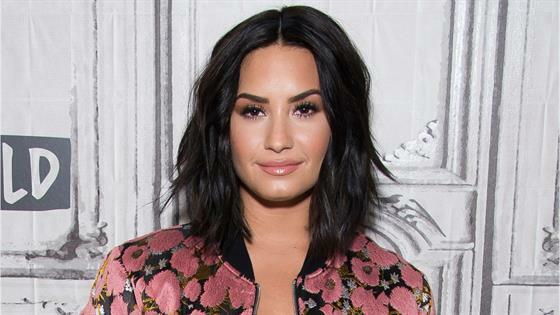 It's a welcome update from the initial news the world got months ago when it was confirmed Lovato had been rushed to a hospital after an apparent overdose. "I just feel like the reason she's alive today is because of the millions of prayers that went up that day when everybody found out what was happening," her mother Dianna de la Garza said during a September interview with Newsmax TV. "I don't think she would be here if it hadn't been for those prayers and the good doctors and Cedars-Sinai. They were the best. I couldn't have asked for a better team of people to save her life." Meanwhile, in her own public letter a month earlier, Lovato broke her silence on her hospitalization and assured her fans that she was going to forge ahead in her recovery. "I now need time to heal and focus on my sobriety and road to recovery," she penned. "The love you have all shown me will never be forgotten and I look forward to the day where I can say I came out on the other side. I will keep fighting."